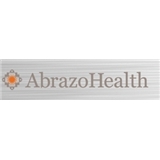 Abrazo Medical Group Parkway (Scottsdale) - Book Appointment Online! She is very caring and helpful. Wait time was a bit long, but otherwise great. Very thorough in his review of my medical conditions and my complex medical history. Good communication. Was notified by the pharmacy that my new prescription was ready before I even got home from my doctor appointment. Excellent follow-through. She listened to me and provided excellent care. Pamela was very nice and helpful.